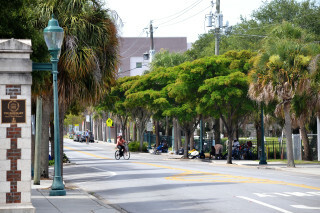 A pilot program created just four months ago to help address chronic homelessness in the community won plaudits and extra funding from the Sarasota County Commission this week. On a unanimous vote, the board agreed to spend an extra $303,648 from the Housing and Community Development Fund to double the beds provided through the Sheriff’s Housing Initiative Facilitating Transient Service (SHIFTS) program, which began on June 4, according to a county staff memo. 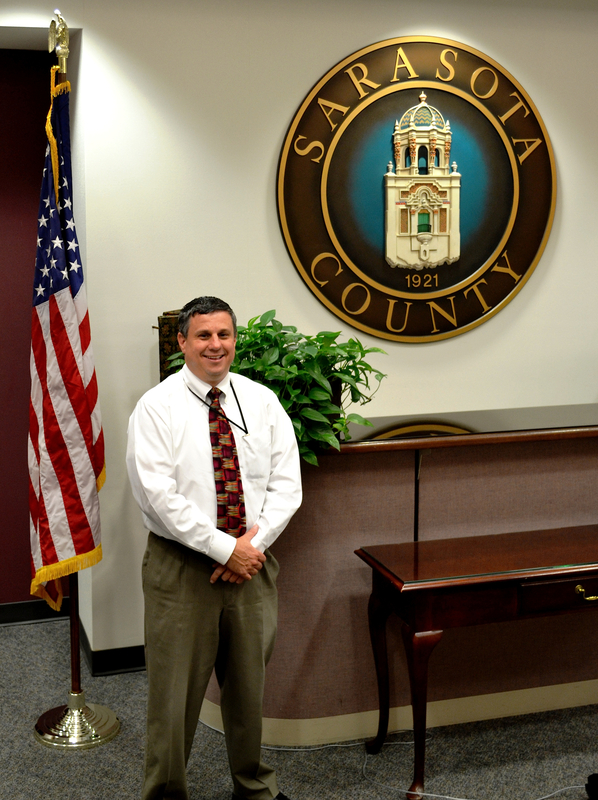 Part of the funding requested by the Sarasota County Sheriff’s Office — about $113,000 — will pay for two full-time positions: an outreach coordinator and a substance abuse therapist, the staff memo adds. To launch SHIFTS, the staff memo notes, the county board provided $59,334. The pilot project coordinated among the Sheriff’s Office, Sarasota County Health and Human Services, and Community Assisted and Supported Living (CASL) — which operates as Renaissance Manor Inc. on 16th Street in Sarasota — already has demonstrated “great success,” Wayne Applebee, the county’s director of services for the homeless, told the County Commission during its regular meeting on Nov. 17. 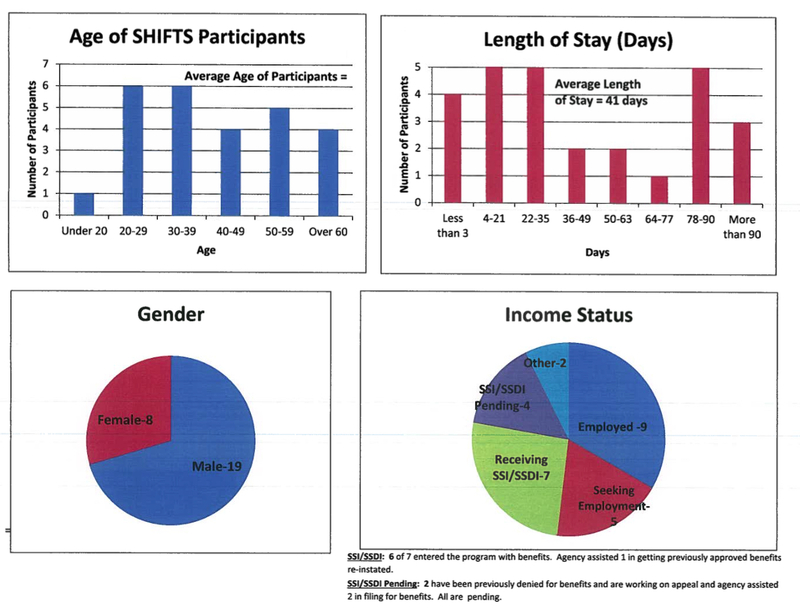 The staff memo explains, “The goal of SHIFTS is to identify adults who are homeless in the unincorporated areas of Sarasota County and are likely in need of permanent supportive housing.” The memo points out that the individuals “are provided housing in a group setting while they are evaluated and provided appropriate services for up to 90 days.” Another document provided to the County Commission notes that Renaissance Manor “has scattered housing throughout Sarasota County” as well as at the 16th Street facility. Renaissance Manor made 10 beds available at the outset of SHIFTS, Applebee told the board; the extra funding will double that number between Feb. 1, 2016 and Sept. 30, 2016, when the fiscal year ends. Applebee also pointed out that 16 of the 27 “had a prior criminal justice interaction.” They represented 231 arrests, 339 criminal charges and 105 warrants, he added. Since SHIFTS began, Applebee said, only one participant has committed a criminal offense. Among other statistics, Applebee told the board that 59 percent of the participants either were employed when they entered the program or receiving benefits. Another 33 percent had sought employment or had worked with service providers to determine whether they were eligible for benefits. On average, he said, the Sheriff’s Office has a weekly wait list of four people. Applebee was referring to the director of planning and research in the Sheriff’s Office. Applebee explained that staff’s goal is to find an alternate source of money to make those the new positions permanent, because the Housing and Community Development Fund cannot be counted on for recurring funds. If staff is unsuccessful in its quest, he continued, the matter may come back before the board as part of the 2017 fiscal year budget discussions. The portion of the Housing Fund money used to expand SHIFTS is from the sale of escheated lots, Commissioner Charles Hines noted. Hines congratulated the sheriff and county staff. “Glad we can expand [SHIFTS],” he added. “I’d like it to start tomorrow,” he said of doubling the number of beds. “There’s a perception out there [in the community] that the county [wants a] shelter only; City of Sarasota, Housing First,” Hines continued. When he asked Applebee to explain how SHIFTS fits into the approach to chronic homelessness, Applebee said it is a different means of getting individuals into permanent, supported housing. With Housing First, he pointed out, the goal is to get people off the streets and into dwellings, but that approach does not necessarily include the provision of services for homeless individuals. After Vice Chair Al Maio announced that no members of the public had signed up to speak during the public hearing, Commissioner Paul Caragiulo made the motion to approve the additional funding. Hines seconded it. “We all need to work very hard to find a permanent funding source for this,” Hines said. The vote was 4-0, with Chair Carolyn Mason absent as a result of an injury she suffered last week, according to county staff.